Electrical transformers are machines that transfer electricity from one circuit to another with changing voltage level but no frequency change. Today, they are designed to use AC supply, which means that fluctuation in supply voltage is impacted by the fluctuation in the current. So, an increase in current will bring about an increase in the voltage and vice versa. Transformers help improve safety and efficiency of power systems by raising and lowering voltage levels as and when needed. They are used in a wide range of residential and industrial applications, primarily and perhaps most importantly in the distribution and regulation of power across long distances. The three important components of an electrical transformer are a magnetic core, primary winding, and secondary winding. The primary winding is the part that is connected to an electrical source, from where magnetic flux is initially produced. These coils are insulated from each other and the main flux is induced in the primary winding from where it is passed to the magnetic core and linked to the transformer’s secondary winding through a low reluctance path. The core relays the flux to the secondary winding to create a magnetic circuit that closes the flux, and a low reluctance path is placed within the core to maximize flux linkage. The secondary winding helps complete the movement of the flux that begins at the primary side, and using the core reaches the secondary winding. The secondary winding is able to pick momentum because both windings are wound on the same core and hence their magnetic fields help to create motion. In all the types of transformers, the magnetic core is assembled by stacking laminated steel sheets leaving the minimum required air-gap between them to ensure the continuity of the magnetic path. An electrical transformer uses Faraday’s electromagnetic induction law to work – “Rate of change of flux linkage with respect to time is directly proportional to the induced EMF in a conductor or coil”. A transformer’s physical basis lies in the mutual induction between two circuits that are linked by a common magnetic flux. It is usually equipped with 2 windings: primary and secondary. These windings share a magnetic core that is laminated, and the mutual induction that takes place between these circuits helps transfer electricity from one point to another. Depending on the amount of linked flux between the primary and secondary windings, there will be different rates of change in flux linkage. To ensure maximum flux linkage, i.e. maximum flux passing through and linking to the secondary winding from the primary, a low reluctance path is placed common to both windings. This leads to greater efficiency in working performance, and forms the core of the transformer. The application of alternating voltage to the windings in the primary side creates an alternating flux in the core. This links both windings to induce EMF in the primary as well as the secondary side. EMF in the secondary winding causes a current, known as load current, if there is a load connected to the secondary section. This is how electrical transformers deliver AC power from one circuit (primary) to another (secondary), through the conversion of electrical energy from one value to another, changing the voltage level but not the frequency. An electrical transformer does not employ any moving parts to transfer energy which means that there is no friction and hence no windage losses. However, electric transformers do suffer from negligible copper and iron losses. Copper losses occur due to heat loss during the circulation of currents around the copper windings, resulting in loss of electrical power. This is the greatest loss in the operation of an electrical transformer. Iron losses are caused by the lagging of the magnetic molecules that lie within the core. This lagging happens in response to the alternating of the magnetic flux which results in friction and this friction produces heat which leads of loss of power in the core. This loss can be greatly reduced if the core is constructed from special steel alloys. 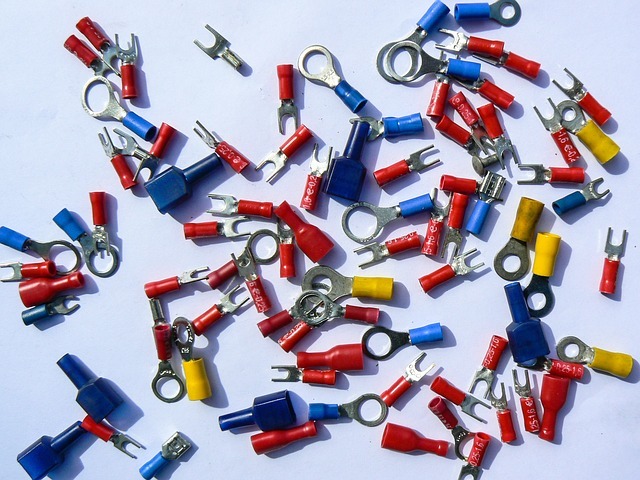 Electrical transformers can be classified into different categories depending upon their end-use, construction, supply, and purpose. Core Type Transformer This transformer features two horizontal sections with two vertical limbs and a rectangular core with a magnetic circuit. Cylindrical coils (HV and LV) are placed on the central limb of the core type transformer. Shell Type TransformerThe shell type transformer has a double magnetic circuit and a central limb with two outer limbs. Single Phase TransformerA single-phase transformer has only one set of windings. 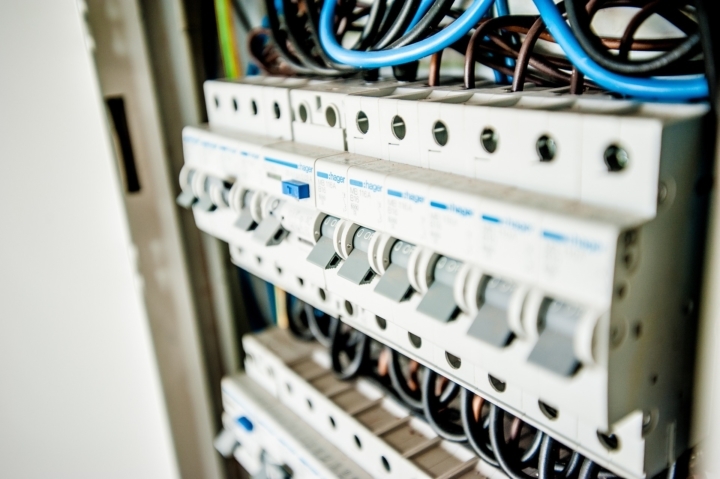 Separate single-phase units can offer the same results as three-phase transfers when they are externally interconnected. Three Phase TransformerA triple-phase (or three-phase) transformer has three sets of primary and secondary windings to form a bank of three single phase transformers. The three phase transformer is mainly used for generation, transmission and distribution of power in industries. This type is determined by the number of turns of wire. So, if the secondary set has a greater number of turns than the primary side, it means that the voltage will correspond to that, which forms the base of a step up transformer. This type is typically used for stepping down the level of voltage in the power transmission and distribution network and so its mechanism is the exact opposite of a step up transformer. Typically used to transmit electricity and has a high rating. Distribution transformerThis electrical transformer has a comparatively lower rating and is used to distribute electricity. These transformers are used to relay and protect instruments simultaneously. Self-Cooled Oil-Filled TransformersThis type is generally employed in small transformers of up to 3 MVA and is it designed to cool itself by the surrounding air flow. Water-Cooled Oil-Filled TransformersThis type of electrical transformer employs a heat exchanger to facilitate the transfer of the heat from the oil to the cooling water. Air-Cooled (Air Blast) TransformersIn this type of transformer, the heat that is generated is cooled with the help of blowers and fans that force the circulation of air on the windings and the core. The primary and secondary coils are devoid of electrical connection (except for auto transformers). The transfer of power is through magnetic flux. No moving parts are required to transfer energy, so there are no friction or windage losses as with other electrical devices. Most transformers are very efficient, delivering between 94% to 96% energy at full load. Very high capacity transformers may deliver up to 98%, especially if they operate with constant voltage and frequency. Raising or lowering the voltage level in the circuit of an AC. Increasing or decreasing the value of an inductor or capacitor in an AC circuit. Preventing the passage of DC from one circuit to another. Stepping up the voltage level at the site of power generation before the transmission and distribution can take place. Common applications of an electrical transformer include pumping stations, railways, industries, commercial establishments, windmills and power generation units. 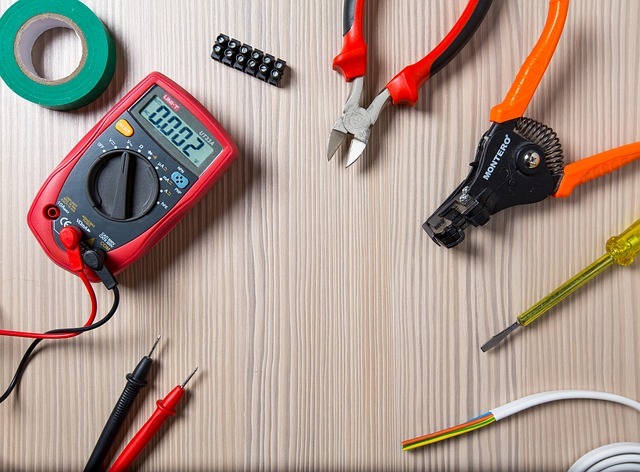 Using a multimeter is the best way to test and troubleshoot issues in the electrical circuit. 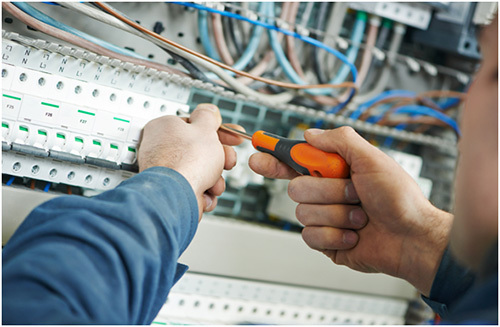 Start by checking the voltage of the circuit that needs testing. This step will help you determine the type of light bulb needed to build your circuit tester. Cut out 2 strips from the AWG 16-gauge wire while ensuring each one is at least 12 inches long. Use a stripper to remove one-fourth of the outer plastic from either end of both the wire strips and 1 inch of the outer plastic from the other two ends. Once this is done, twist the exposed wire to keep the strands together. Attach the two ends from which you have removed 1/4th inch of plastic to the terminals of the bulb holder. Insert the light bulb into the holder and attach the remaining two ends of wire to the terminals that you want to test.